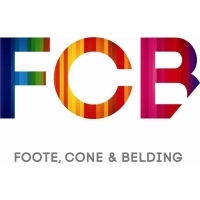 Using sunlight, water, some fancy science and a little bit of magic, the rainbows were conjured up in the Johannesburg CBD by advertising and marketing communication agency FCB Johannesburg and a technical team led by a globe-trotting rainbow-maker from the United States. “We are very excited to have discovered a way to create actual rainbows by capturing the sun at specific angles through a mist of recycled water,” says Sharon Keith of Coca-Cola South Africa. “In the lead up to Freedom Day, we wanted to go further than reminding South Africans of our heritage. We wanted to create a symbol of our diversity and celebrate the fact that as a nation we have come so far. Coca-Cola aims to inspire moments of optimism and happiness, and rainbows can do both,” explains Keith. The Coca-Cola Company (NYSE: KO) is the world’s largest beverage company, refreshing consumers with more than 500 sparkling and still brands. Led by Coca-Cola, one of the world’s most valuable and recognizable brands, our Company’s portfolio features 17 billion-dollar brands including Diet Coke, Fanta,Sprite, Coca-Cola Zero, vitaminwater, Powerade, Minute Maid, Simply, Georgia and Del Valle. Globally, we are the No. 1 provider of sparkling beverages, ready-to-drink coffees, and juices and juice drinks. Through the world’s largest beverage distribution system, consumers in more than 200 countries enjoy our beverages at a rate of 1.9 billion servings a day. With an enduring commitment to building sustainable communities, our Company is focused on initiatives that reduce our environmental footprint, support active, healthy living, create a safe, inclusive work environment for our associates, and enhance the economic development of the communities where we operate. Together with our bottling partners, we rank among the world’s top 10 private employers with more than 700,000 system associates.